Wakaf of Al Qur'an Package consists of 8 books of Al Qur'an to be given as wakaf in Indonesia. Wakaf of Al Qur'an Package consists of 8 books of Al Qur'an to be given as wakaf in Indonesia. This project is offered year round. We are targeting mosques in villages/rural areas, fully dormitory madrasah (pondok pesantren) and orphanage houses which has tahfidz programme. The name of the person who make the wakaf will be displayed on the front page of the Qur'an. You may enter participant's name for the wakaf during checkout. 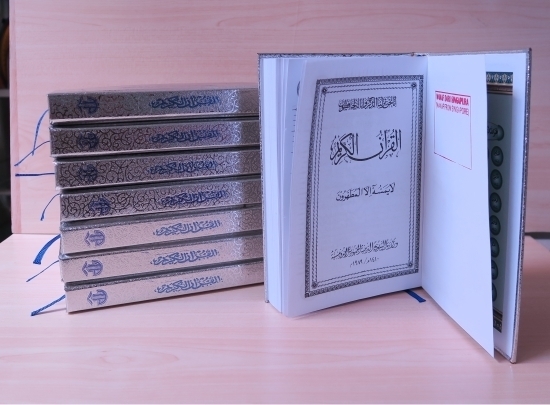 We will send the photos of the Qur'an set before distribution to the person who make the wakaf. 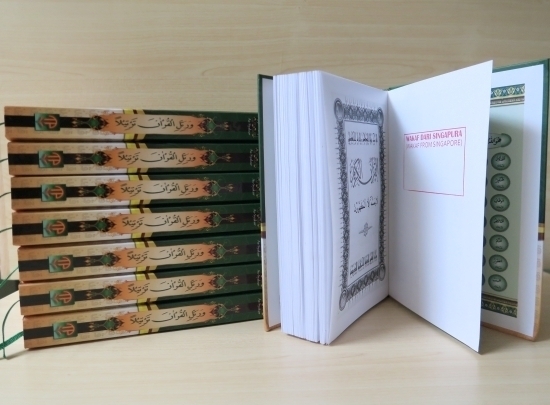 Sample of the Al Qur'an is shown in the display picture. We may however replace the Qur'an with similar quality if the display model is out of stock. * Photos shown for illustration only. Model and size of Al Qur'an may change depending on stock availability. 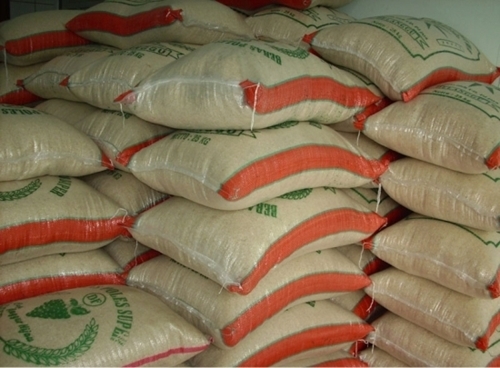 Infaq of 25kg of Rice is made in Indonesia.